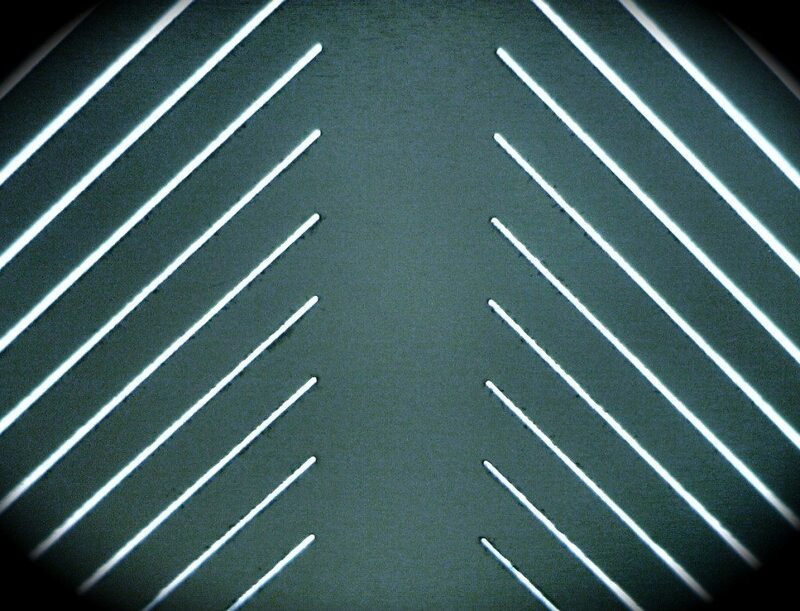 Microfluidic channels in polycarbonate substrate. 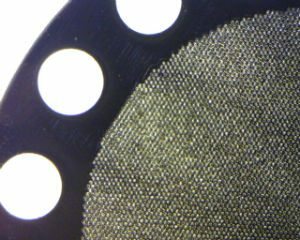 There are 33 channels in the middle of the device that are 60 microns wide and 45 microns deep. 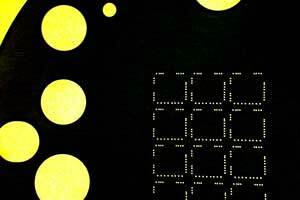 Potomac has a broad range of tools to fabricate microfluidic devices. Precise channels and holes can be machined in almost any substrate. 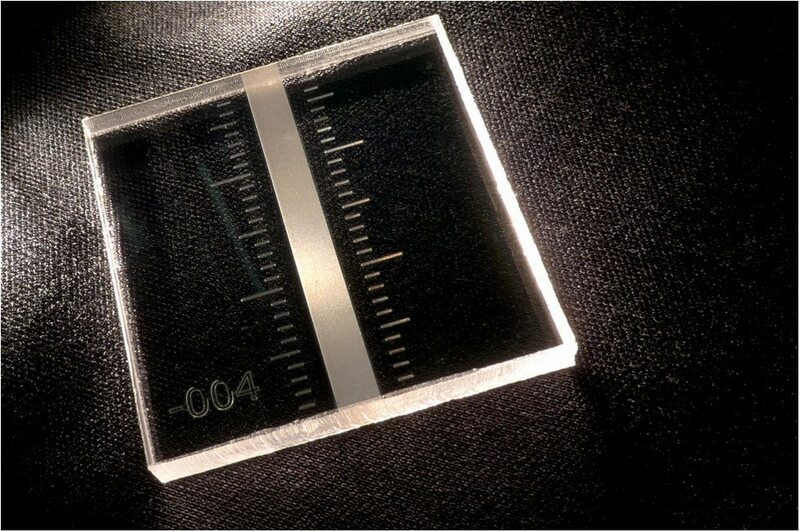 Custom microfluidic devices can be rapidly fabricated for both both small and large quantity orders.